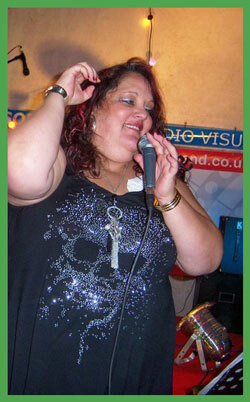 NuNet is web developer Mary Anne McGinn, based in Witney, Oxfordshire. "I like to try and keep the work in house as much as possible, from logo design to a finished website, it helps to keep costs down for my clients. I beleive in that personal touch, communication and excellent customer service really matters to people." Mary Anne has been a web mistress since 2002, but also has extensive experience in many other disciplines such as IT Maintenance, computer repair, IT Middle Management, office management, accounts and many other entrepreneurial interests. This gives me the ability to talk to my clients and understand how their business works, in finding out how they operate, it helps me to sell their business for them online, either to write great copy, or for website content architechture so that it flows and makes reading your website a better user experience. Other business interests include Subway Band founded by Mary Anne in 2003, enjoying the yin and yang of working solo during the week as a web designer, spending weekends going out and performing as "front man" with the Oxfordshire function band and meeting lots of great new people.